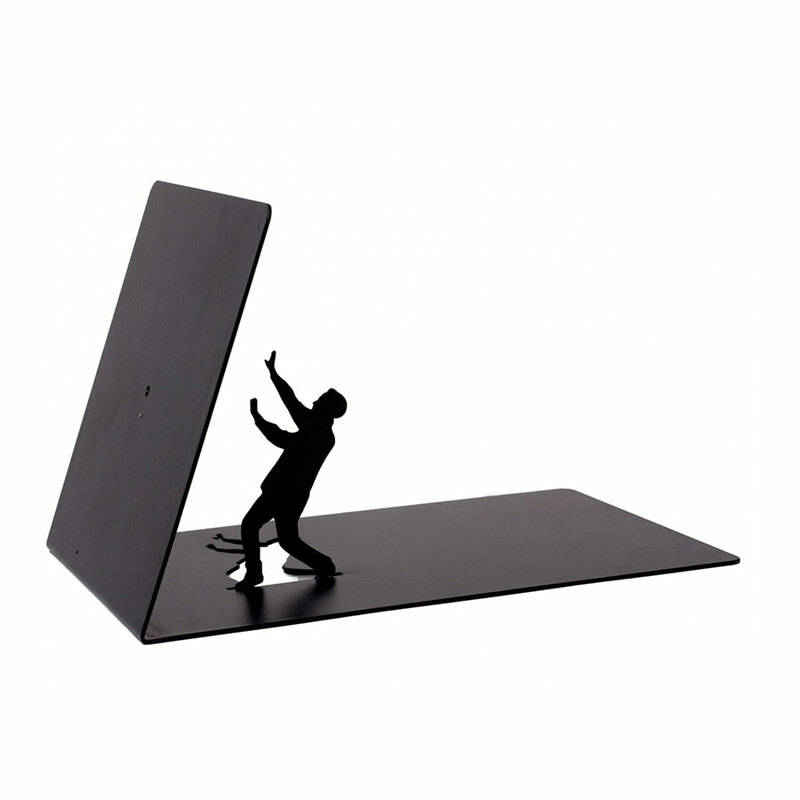 This Design Falling Bookend from Artori is a must have. 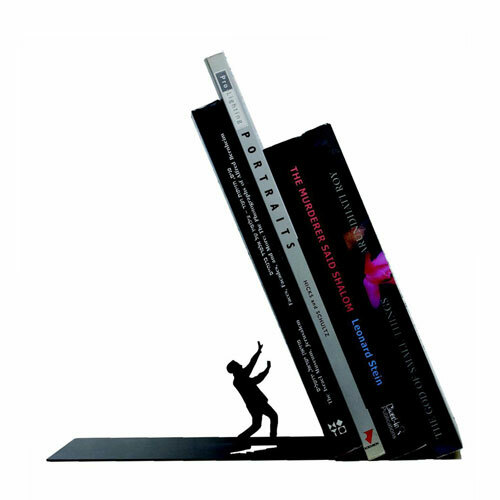 On the picture you can see a man who is trying to stop the falling books. 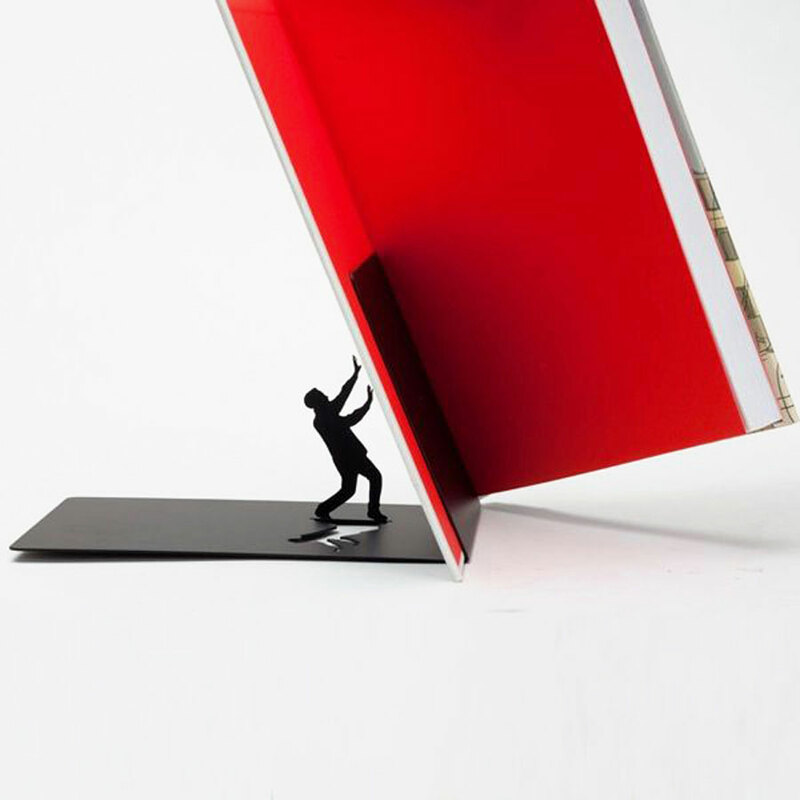 It's a nice optical illusion which obviously does not keep only your books on their place but also pimps them up by showing this impressive design effect.